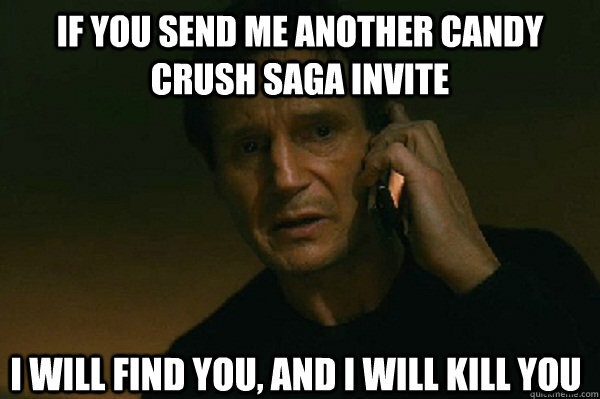 This being said, we needn't have worried. Townhouse have been careful to not go overboard on the twisting, and the space, beverages, location and staff all work in synergy to create a delicious experience; food included. The twists are seen in subtle ways; oysters come with tom yum sauce that enlivens the bivalves as we feel the Kilpatrick offerings never did; an interpretation of deep fried whitebait (椒鹽白飯魚) comes with kimchi mayo ($68) that is spicy and smooth and perfectly complements; goose liver can be found in the Singapore noodles ($178) that with just a squeeze of lime become some of the tastiest S'pore noodles we have had. 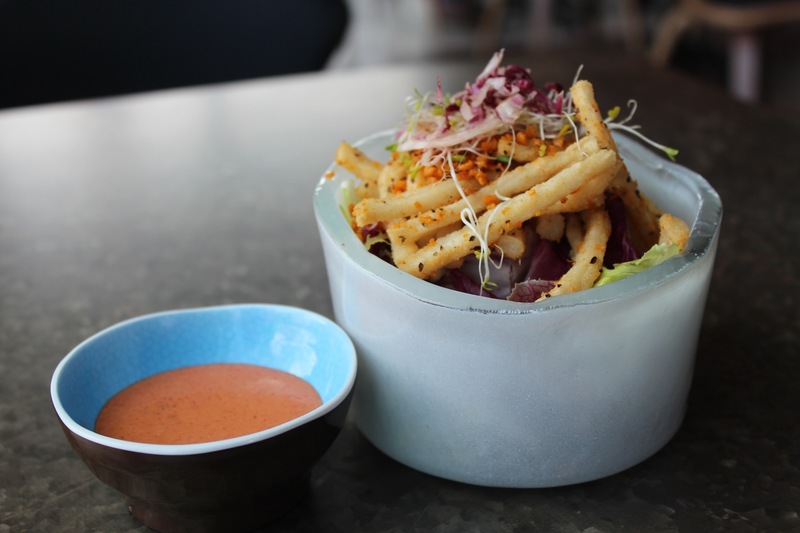 Townhouse shares the same food concept as its older sister, Glasshouse, in IFC. 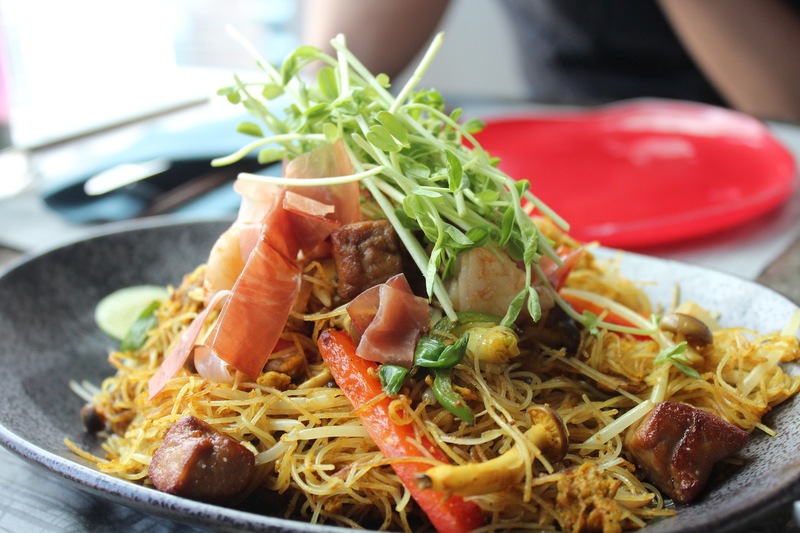 The chef teams make use of creativity and techniques, marrying around the world ingredients and presenting Asian cooking with Western twist. From 5pm onwards, they provide robata bites–skewers cooked over coals Japanese style–which marry beautifully with the cocktails. At night, Townhouse turns into a rather edgy bar; serving an extensive range of innovative cocktails and bar drinks in sync with ambient lighting. 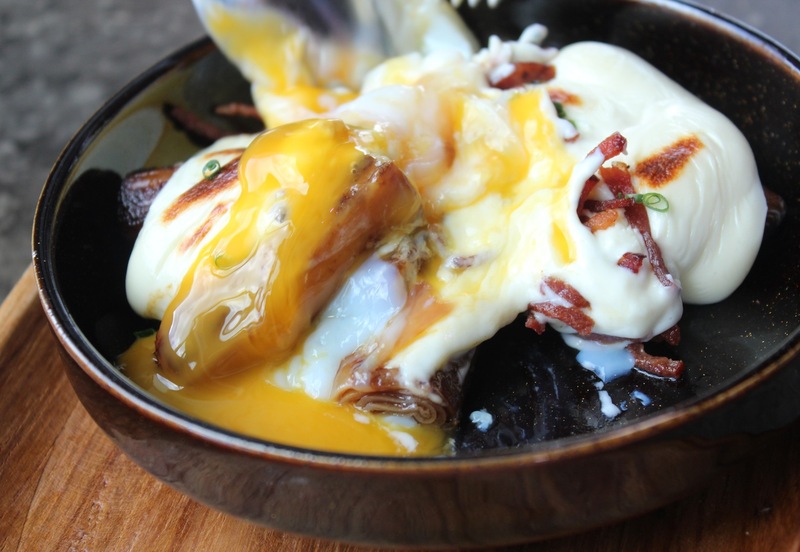 Food we suggest is the overly clever cheung fan with cheese sauce, a 63 degree egg and pancetta ($68). 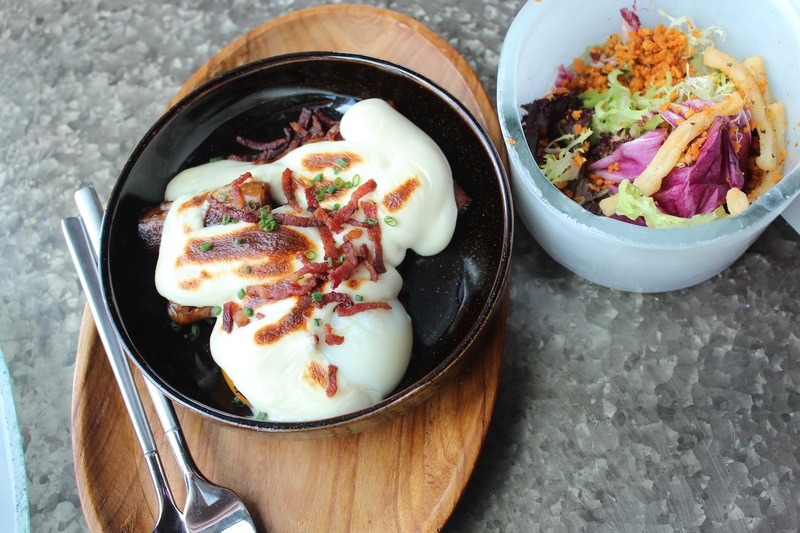 It sounds weird we know, and we too had misgivings about pairing a staple Hong Kong street food with what seem to be the early formations of carbonara, but it is very well executed. Deliciously cheesy, sloppy and satisfying. 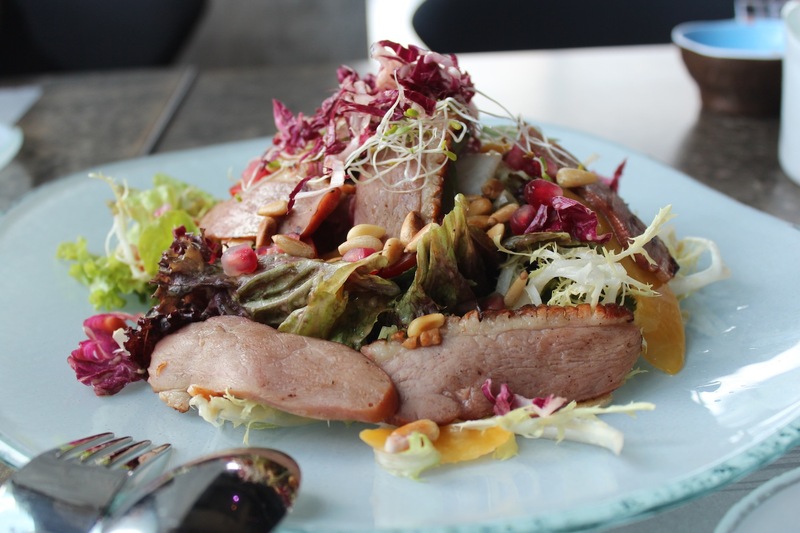 Roll next to the duck salad ($118) with peaches, pine nuts and pomegranate. The fruit is an utterly delectable companion for the tender and flavoursome duck, which is finished with zing and texture added by the nuts. This dessert is worth inviting all your friends to. 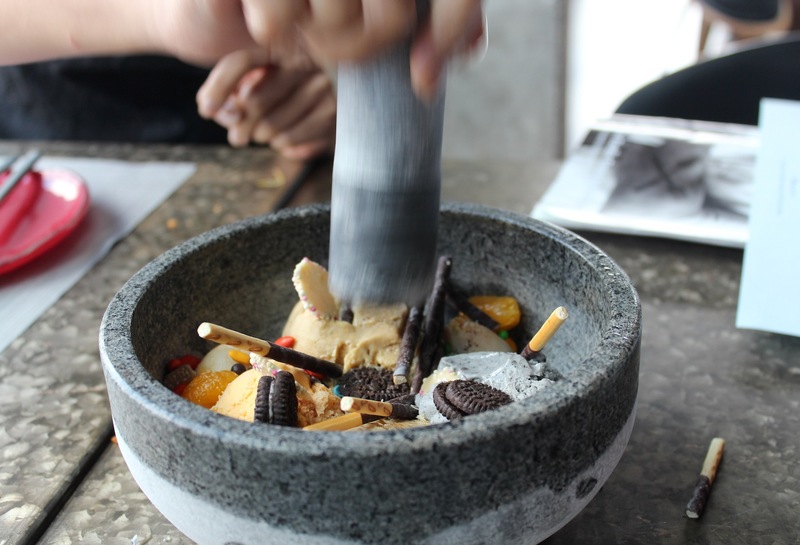 A mango ice cream and black sesame are presented underneath a mound of killer candies (think Oreos, jellybeans, Pocky sticks, wafers and other unidentifiable addictive sweet chewy things) and fruit in a jumbo size mortar and pestle that's frozen. A rather interactive dish, the idea is to literally crush all items together, a la Cold Stone (Cold Rock if you are from Aus; because things are always a little more gritty down there). The elements all blend magically and the textures make every mouthful a new experience. 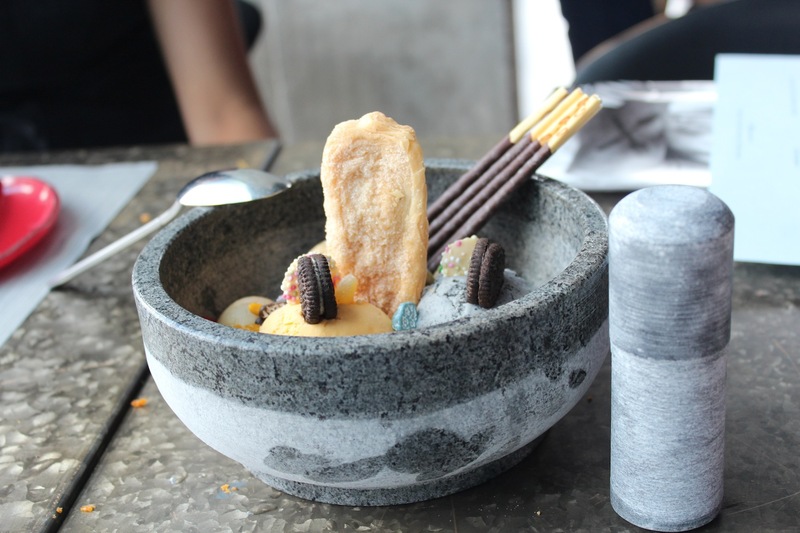 One of our favourite desserts in LKF to date. The verdict for Townhouse is all good. A few things need work like their teeny bathroom area that is a bit ghetto to get to, as well as arctic air-conditioning, but everything else is good to go. The open kitchen makes for a pleasant energy and the huge space designed by Mr. Hugh Zimmern draws attention to the breath-taking view of Central from heights through the floor-to-ceiling glass windows. 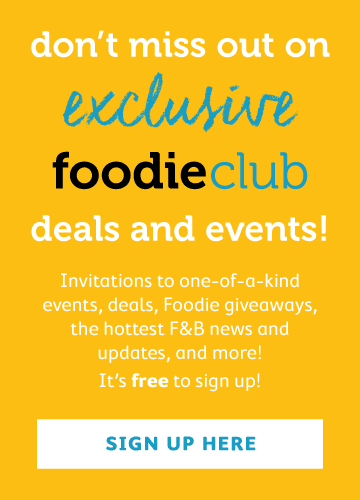 The food is surprisingly awesome; tasty and unusual and you can be sure you won't have tried anything like it before.